Flexible batteries such as PowerStream lithium polymer batteries can be integrated into new application such as smartcards, and could help wearables have longer battery life by adding batteries into clothes, wristbands or chestbands for example. 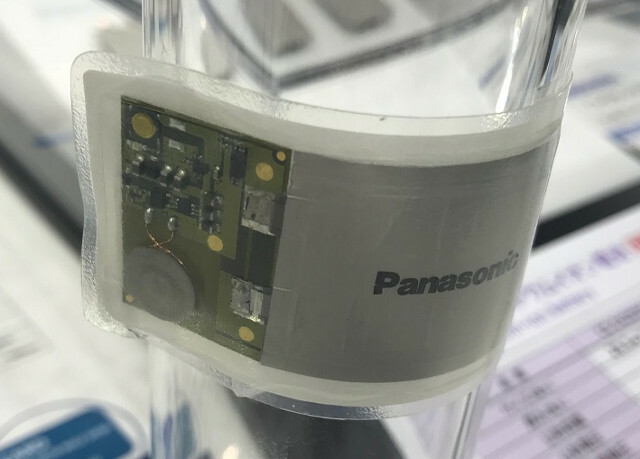 You’d still need to charge them however, and in some cases adding a USB port (micro USB or type C) may negate the benefit of having a thin flexible battery, but Panasonic has a solution as the company added wireless charging capability to their flexible batteries. 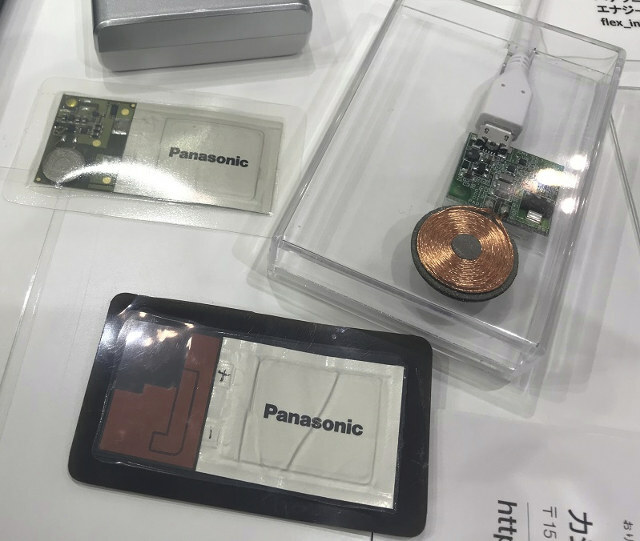 The solutions showcased at Ceatec Japan 2017 on October 3-6, 2017 were flexible lithium-ion rechargeable batteries with 0.45mm thickness, and 18, 42 and 65mAh capacity. Battery voltage is 3.8V, charging voltage 4.35V, and the batteries can be bend up to a radius of 25 mm, and twisted by up 25°. Such batteries are meant to be attached to human body and clothes for medical and health management applications, or embedded into cards. The battery has not been used into products yet, but sample are available. No information was provided with regards to pricing and general availability. “Such batteries are meant to be attached to human body and clothes…” so random people can burst into flames.